Steve Jobs has lost his battle with cancer, and passed from this vale of tears on to whatever his reward may be. 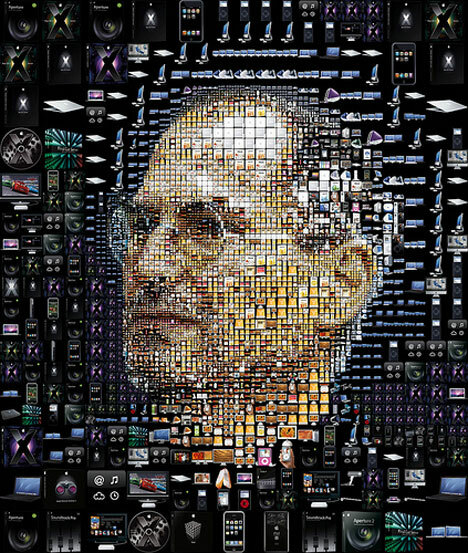 The photo chosen for this post, swiped from the internet via Google, is most appropriate because Mr. Jobs will live on in his creations, all of which are electronic in form – as implied by the picture. I’ve never followed Mr. Jobs’ politics, and cannot say what his leanings were; liberal, moderate, or conservative. I can say that I know him to have come from modest means to CREATE his and many other people’s wealth. His story is one of invention, entrepreneurial skills. It is one of building on failures to create success (can anyone say Apple LISA? NeXT?) . His is a story that those vacuous parasites marching on Wall Street would do well to study and emulate. NO ONE gets – nor deserves – any guarantees to success in life. These simpering whiners (save those manipulative Marxists who have pulled the event together) are, to a one, products of the liberal education they’ve received: no-one should feel bad; everyone should be allowed to play on the team, regardless of their ability – and no-one is allowed to fail. This policy has done exactly what was expected. It has produced an entire generation of people ill-prepared for life – and all too ready to suckle at the teat of government. They have no concept of what is at stake, of what they sacrifice by turning their well being – their very lives – over to government bureaucrats. And their efforts must be resisted at all cost. This entry was posted on 6 October 2011 at 1147 and is filed under Politics. You can follow any responses to this entry through the RSS 2.0 feed. You can leave a response, or trackback from your own site.